The Titan-I Vaporizer is a heavy duty herbal vaporizer with a strong shell encased in a box-shell reminiscent of the Half-Life video game series. The Titan-I Vaporizer is a heavy duty herbal vaporizer with a strong shell encased in a box-shell reminiscent of the Half-Life video game series. It comes equipped with a 2200mAh battery for its power source, and has a powerful multiple voltage heating system inside. 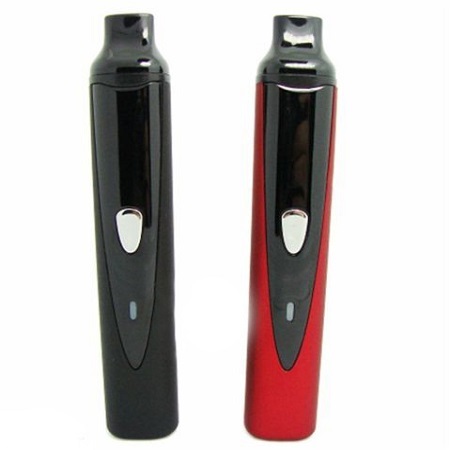 The Titan-I gives you the option to vaporize your dry herbs at one of three temperatures: 360F, 380F, and 420F (displayed as red, green and blue, respectively), each giving a different feeling during the vaporization process. We recommend using a different temperature depending on your preference for the strength of the vapor. The higher you make the temperature, the stronger the vapor becomes. Personal preference aside, the Titan-I uses the same familiar one-button-does-all setup that most users are used to, and let’s it’s major strength of vaporizing do all of its talking.